One of the most high collaborative devices in the rental and staging industry is an interactive table. 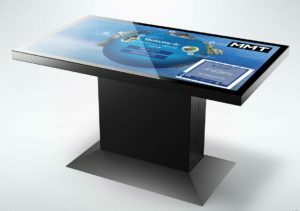 Team up with attendees to create, teach, experience and have fun with the all new 55” Innovate Edge Touch Table! Not only is it compatible with up to 40-points of simultaneous touch, but it is also virtually bezeless! ABCOMRENTS is no stranger to high functionality display rentals, 4K resolution and innovative technology rentals. That is why we wanted the next generation table, with a smooth surface incorporating spill-proof technology! This 55″ interactive table is perfect for any event and we service the entire US and Canada for event rentals! The Innovate Edge Touch Table rental will captivate attention in even the busiest of settings with its incredibly sleek design. The flat surface, bezel free, allows for a smooth, uninterrupted experience all the way around the table. 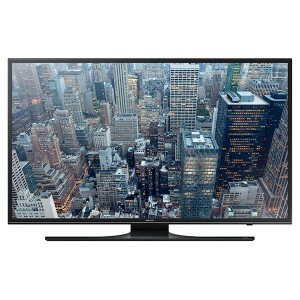 With 4K ability the possibilities are endless for use cases in the digital signage industry! Perfect for trade shows, experiential marketing events, collaboration and even training events; this table is the all around interactive solution rental!